Comments - Wonderful six-panel woodblock showing an incredible range featuring children interacting with adults. 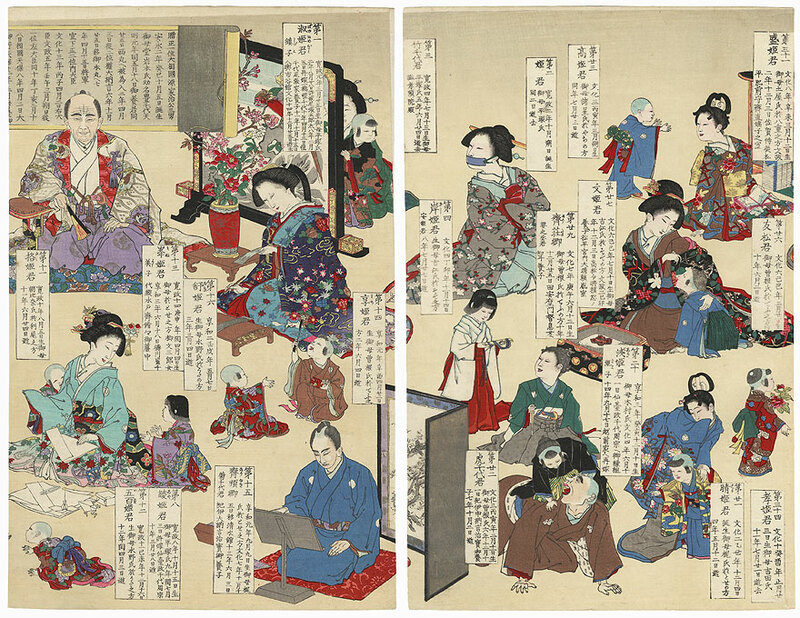 These beautifully dressed upper-class boys and girls are lovingly indulged by beauties and samurai, who entertain them with toys and games, presided over by an elderly man sitting on a cushion at top center. Scenes include a small boy pulling a toy fish on a string, a young girl holding a puppy with a red ruffled collar, and a boy riding a hobby horse. A mother encourages her young child to crawl towards her, while another beauty creates origami designs to the delight of two youngsters. Beautifully printed with deluxe touches such cloth embossing in the text cartouches and burnishing in the black robes and lacquer items. 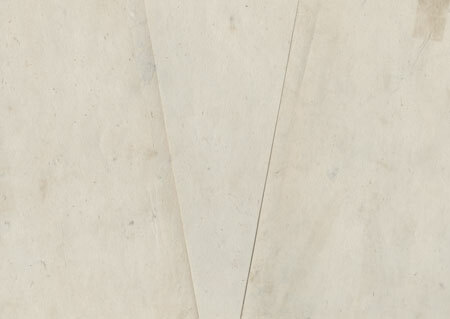 The metallic pigment on the back of the folding screen at the bottom of the page has oxidized to a darker tone. A fascinating design with a wealth of fabulous detail in the household furnishings and carefully rendered clothing. A rare complete six panel print of a charming subject. Condition - This print with excellent color and detail as shown. Six separate panels, backed with paper. Slight soiling. Please see photos for details. Good overall.